Whether you’re running a business or managing the expenses of your household, maintaining expense reports can help you save tons of money and prevent unnecessary expenditures. To make it easy for you, we have a wide range of ready to use expense reports. These reports are available in various formats, they are easy to download and edit and can be printed out or emailed. Individuals, business organizations and various others can use the Expense Forms. 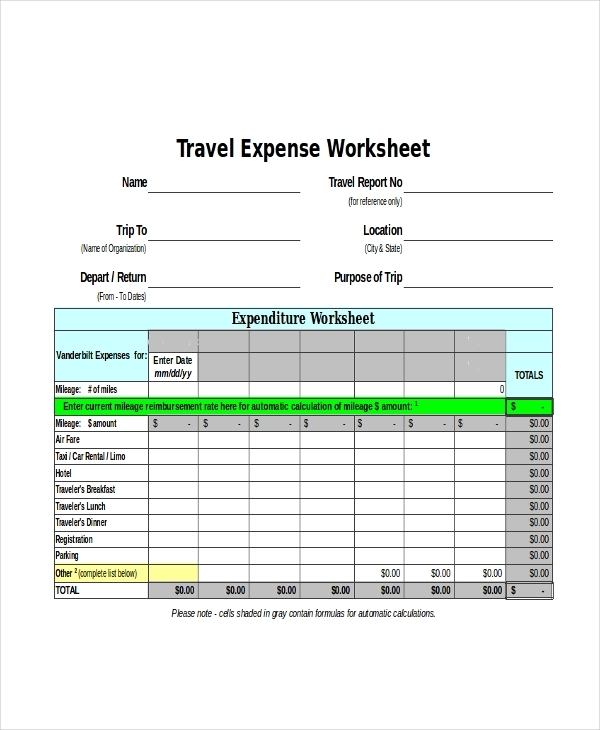 The travel expense report is available in Excel format. The user can easily edit the sheet to fit his needs and requirements. This sheet is ideal for a person to keep track of his travel expenses. 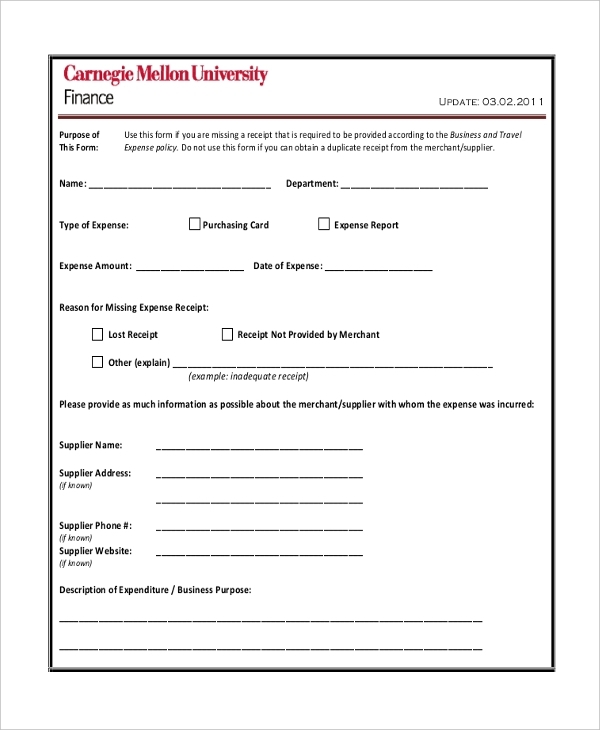 The monthly expense report form is available in PDF format and is ideal for companies. There is space for the user to fill in details of the purpose of expenses, the name of the company, name of the employee and other information. You may also see Expense Report Forms. The expense report for small business is available in Excel format. It can be used by small-sized business organizations. Employees of the organization can keep these reports handy and can quickly and easily add their expense details to it. 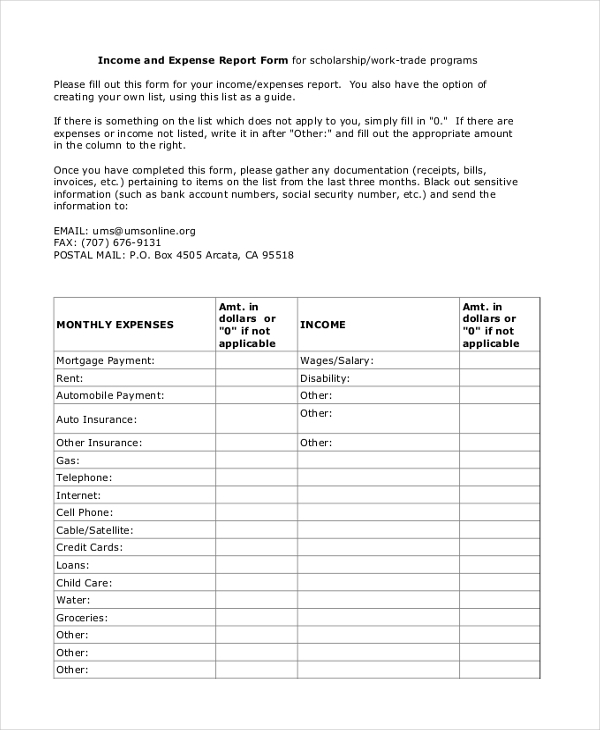 The income expense report form is available in PDF format. Details of the user’s monthly expenses such as rent, mortgage, auto insurance, telephone and other information can be added to this form. 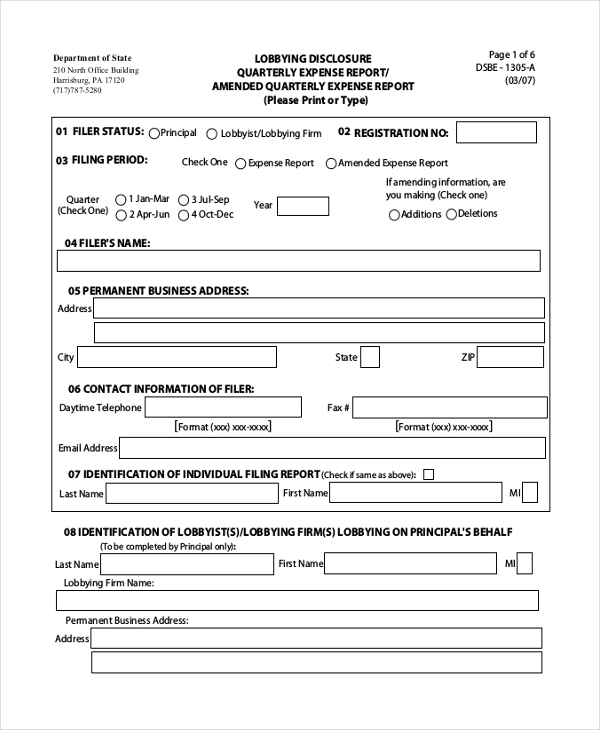 You can also see Business Expense Report Forms. 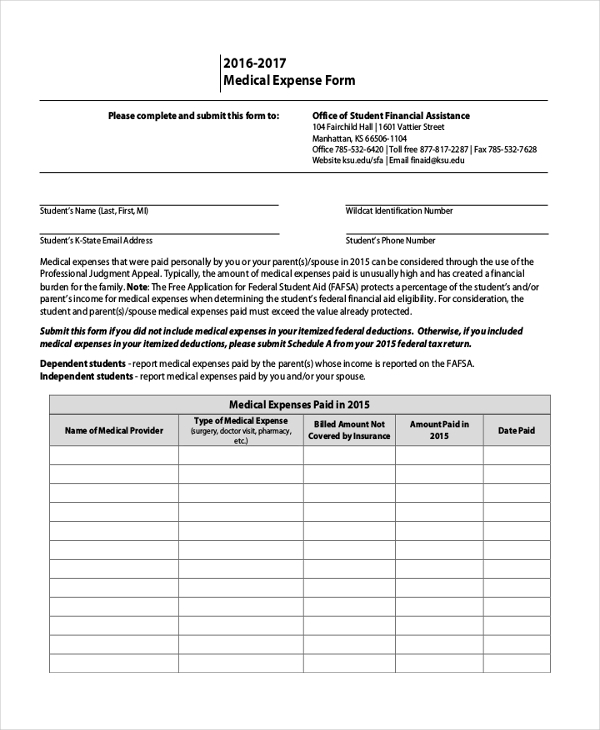 The medical expense report is available in PDF format. The user can fill in details of the type of medical expense, name of the medical provider, amount paid and other information to this report. 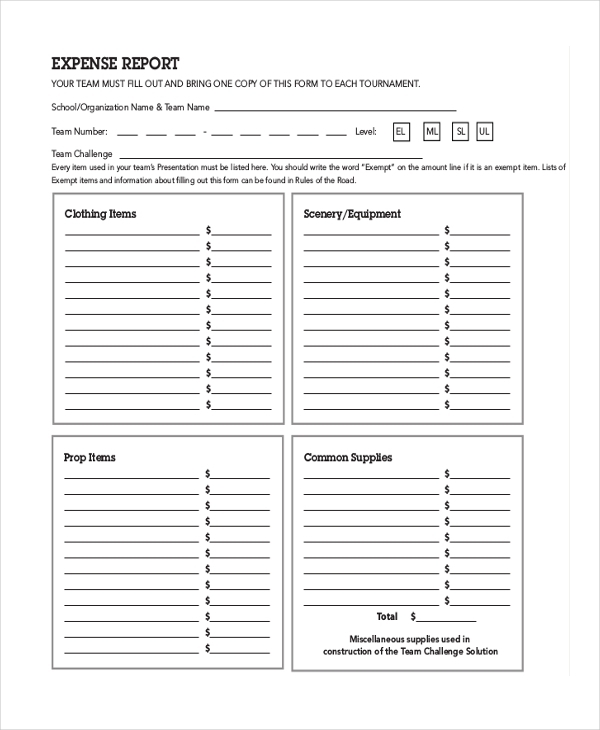 The expense report receipt form is a very simple PDF sheet. Details of the expenses, supplier details, and other information can be added to this report. The finance department of universities will find the expense form extremely handy. The management of large-scale companies can hand over these employee expense reports to the staff of the organization in order to keep track of the expenses. This template is available in PDF format. 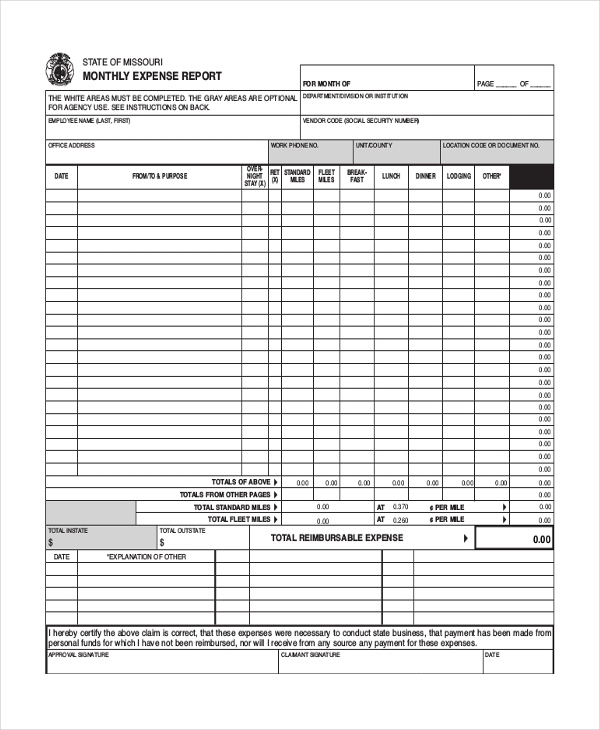 You may also see Sample Expense Report Forms. The interactive expense report is available in PDF format. 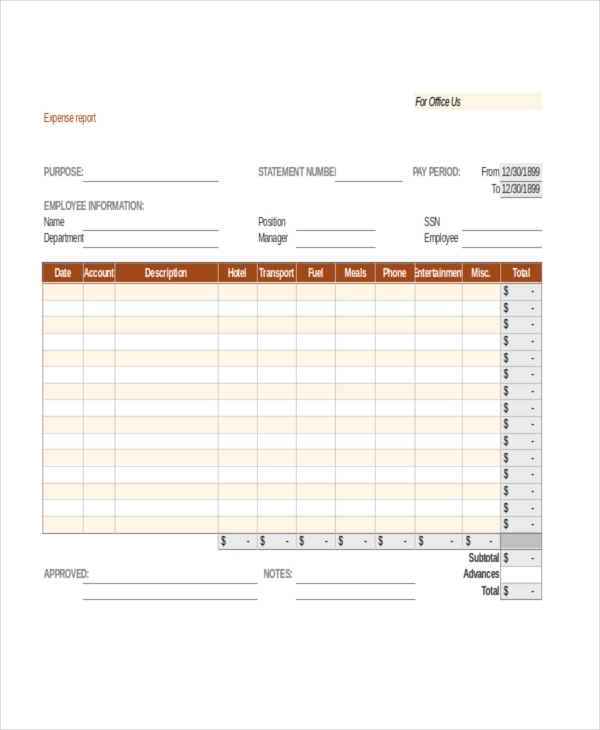 This expense report can be given to team members who are working on projects for business firms. It can be edited easily too. The quarterly expense report can be used by business organizations. It is available in PDF format and has space for the user to fill in details of the expenses, filer’s name, file status and other information. Who Is The Target Audience For The Expense Reports? Typically any individual or organization that needs to keep track of the expenses incurred on a daily, monthly or annual basis can use these expense reports. The expense reports can be used to keep track of work-related expenses, travel expenses, expenses of employees, household expenses and various other kinds of expenses. Employees, senior level staff, individuals, medical institutions, universities and various others can use these expense report sheets. Even those who are teaching their young children how to manage their pocket money and monthly expenses will find this expense report sheets extremely handy and useful. 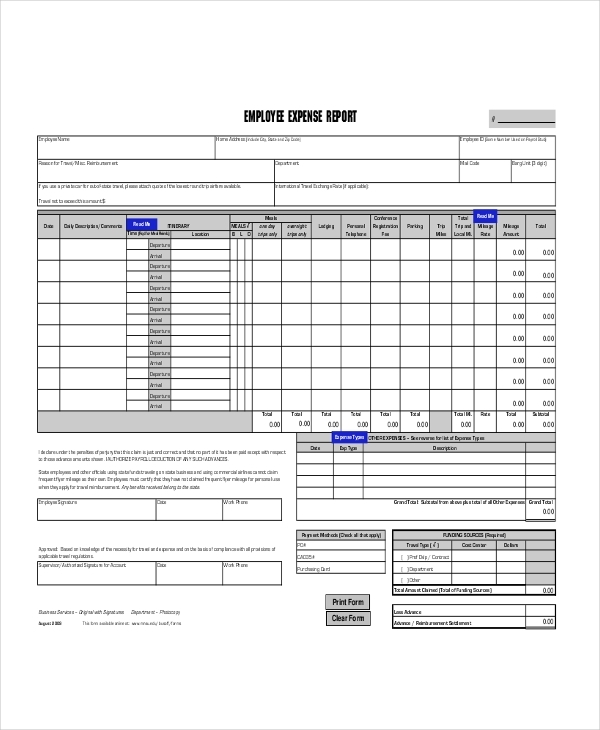 You can also see Sample Business Expense Forms. What Are The Benefits Of Using The Expense Reports? The expense reports are extremely beneficial for multiple reasons. First and foremost these reports are free of cost, easy to download and edit and can be used for keeping track of both personal as well as professional expenses. Secondly, by maintaining these reports, the user will be able to keep track of his expenses and thereby prevent unnecessary expenditure and may even help him save money, thus making them extremely beneficial. Lastly, these expense reports are also useful for their convenient and universal formats that make them accessible to all. You may also see Travel Expense Claim Forms. So, if you’re looking to keep track of your monthly expenses, be it at work or at home, these expense report sheets are ideal for you. Just select one from the above-mentioned list that best suits your requirement to edit it and print it out. You will find these sheets extremely useful and handy.